Our cashmere collection are rare preciosity. art goes fashion from Renaissance to Art Nouveau. The super star Pashmina collection from CASHMERE LINE shows unique textil preciosity. Designer Astrid Peller has designed and produced for museumsshop disributer of international Museum in Vienna, Munich, Amsterdam, Basel luxurious shawls out of fine Himalaja cashmere. 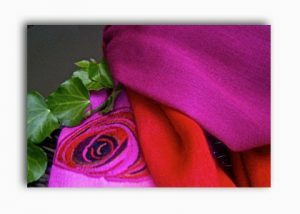 The artist is specialized to design cashmere shawls in high quality with dessins are inspired from the masterpiece of great painters from Renaissance to Modern time. Some motif on the exclusiv accessoires are made by hand with embroidery out of fine silk threads and/or small beads, some dessins are print by hand. During the design work of the embroidery the designer lead the needle of the stitcher like a brush – to compare with a painter who choice the colors for his picture from the sequin. For this, our color card with 400 different colors gives a perfect space for creativity on high level. Contact with cashmere is soft, warm and cozy. 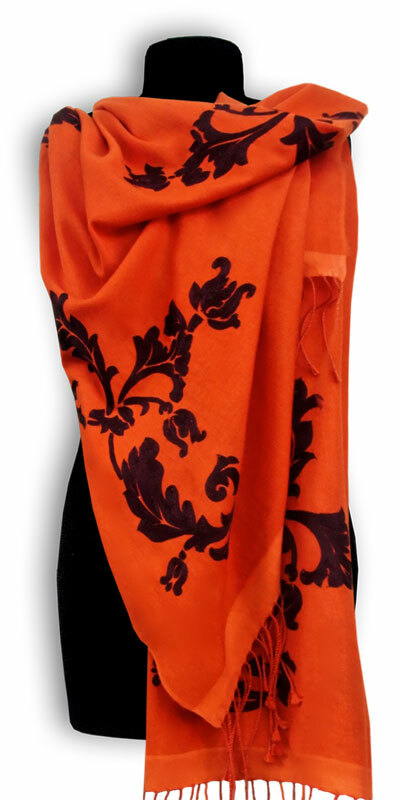 The classic Pashmina can now be found in almost every wardrobe. He has been a trendsetter for many years. But these towels are a special rarity. 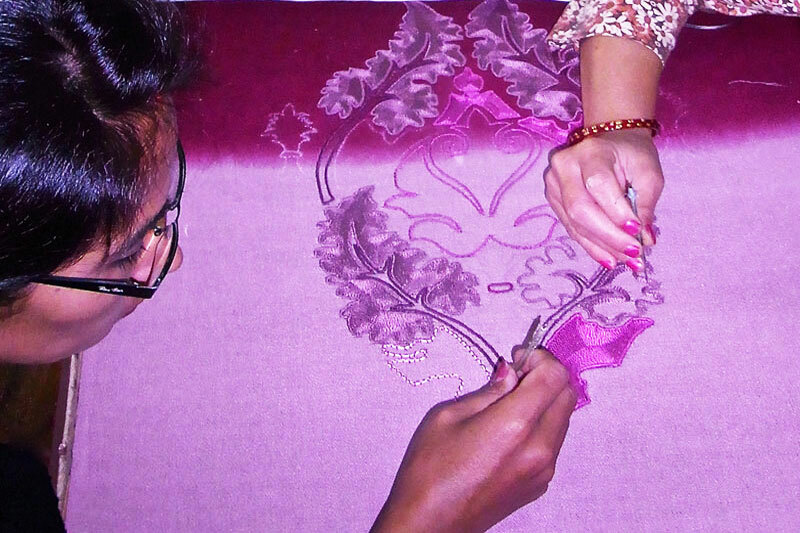 The ornamental designs are hand embroidered and / or hand printed. Contrastingly the motifs stand out from the basic color of the cloths. 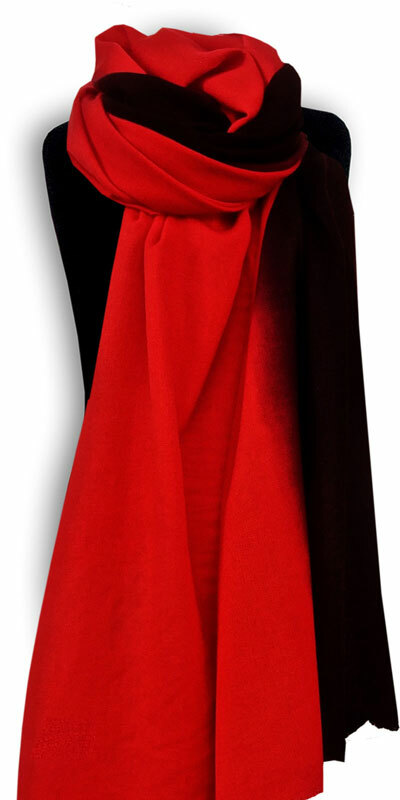 The cashmere scarves of the collection MASTERPIECE EXKLUSIV combine top quality from the Himalayas and Top Design. The exclusive accessories will become a beloved companion you will not want to do without. For the Cashmere Scarf Collection of the museums line ART TO RELAX the paintings of great painters have stood as a pioneer. They are an inexhaustible source of inspiration. Astrid Peller chose works of art from Renaissance to Art Nouveau for the designs of the precious cloths. The decorations are masterfully embroidered with fine silk threads and / or pearls. The photo shows the way the embroidery artists perform the stylized design, after a painting by the Renaissance painter Konrad Witz. The textile treasures were made for international museum shop operators.